If you have any ideas about a new series of posts related to the study of Romanticism that we could potentially set up in 2017, please do not hesitate to get in touch with me. One-off posts are also welcome. Don’t forget to follow us on Twitter for all the latest blog updates; you can also the join the British Association for Romantic Studies Facebook group. I’d like to extend a special thank you to Matt for training me up for this role, and allowing me to curate the ‘On This Day’ series, which has now been running for over a year, and which I’ve thoroughly enjoyed doing (we are still seeking posts for 2017!). Thank you also to the contributors we’ve had on all the different strands of the blog. Your work is what makes the blog a success, and I hope to continue to help BARS members, and others, to provide great online content for the benefit of our readers. Any questions or ideas send them my way. Over the past few years, BARS has begun to conduct a lot more of its activities online – as well as the website, we now have this active blog, the BARS Exchange, The BARS Review and our social media accounts on Twitter (which I co-run with Dan Cook) and Facebook. Keeping all of these things updated at this point is a rather bigger job than it was when I originally took up the position of Website Editor, so the Executive has decided to appoint a second person to edit the blog so that I can work on improving our (somewhat ancient) main website and continue enhancing the Review. From this point forward, therefore, Anna Mercer – who you’ll already know from the long-running series of On This Day posts that she’s curated – will be taking over the editorship here. She’ll now be the first point of contact for submitting material for posting and for conference reports, as well as for On This Day. She’s been a joy to work with over the past year, so I’m very glad to be placing the blog in an extremely capable pair of hands. I’ll still pop up here occasionally and will keep editing the Five Questions series for the moment, but over the next few months, I’ll be turning my attention to the main site in order to try and make this a better resource for the association. If anyone has suggestions about things that they’d like to see as part of an updated site, I’d be very grateful to hear these. Emma Peacocke is currently a Banting Post Doctoral Fellow at Queen’s University, Ontario. Before moving to Queen’s, she completed her PhD at Carleton University. She has published articles and book chapters that examine historiography, circulation, periodical culture, collecting and visual culture and that deal with figures as diverse as Walter Scott, William Paley, William Buckland and Thomas Moore. Her first monograph, Romanticism and the Museum, which draws together many of these interests and which we discuss below, was published by Palgrave Macmillan in 2014. 1) How did you come to decide that you wanted to write a monograph on museums in the Romantic period? It happened in a coup de foudre as I was reading The Wanderer, Frances Burney’s final novel, published in 1814. The heroine, Juliet, is fleeing in disguise from her forced marriage to a murderous Jacobin ruffian, so you can imagine how anxious she is throughout the novel. Near the climactic showdown, her eccentric elderly protector Sir Jaspar Harrington decides on a whim to pass Juliet off as his grandchildren’s new nursemaid and have her shown all around the glorious art collection at Wilton. Juliet feels so harried and miserable that she has almost lost the will to live – she is in a “torpid state” of “morbid insensibility.” However, one object is so powerful that it can reawaken Juliet to herself and even to a moment’s pleasure: the “fascinating picture” by Van Dyck of Charles I and his family, with its “extraordinary attraction.” One chapter later, the experience of seeing an artwork indoors, in a very museum-like setting, is paralleled with wandering among the stupendous and sublime ruins of Stonehenge. It turned my idea of what Romanticism is and what Romantic authors valued on their head. Lots of historians and art historians, including Linda Colley, read the eighteenth-century stately homes that opened their doors to the general public as precursors to, or stand-ins for, public museums, so looking at the proto-museums and newly minted public museums of the Romantic era suddenly seemed like a very promising way to see something new in Romantic literature. Carol Duncan’s Civilizing Rituals has a very powerful passage comparing art museums with the ambulatories of medieval cathedrals, pathways that pilgrims could follow to gain a closer understanding and bond with figures like Christ. 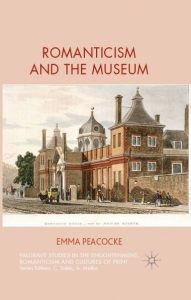 This really strengthened my decision to write about museums in the Romantic period – it’s such an eloquent testimony to their significance and puissance. 2) How did you select the four case studies (Wordsworth’s Prelude, Scott’s Waverley, Edgeworth’s Harrington and the discourse around the Elgin Marbles) which form the cores of your chapters? It sometimes felt as though they chose me! I was reading Ormond, by Maria Edgeworth, because I wanted an Irish Tale to read on my first trip to Ireland, and so I was originally going to write on Ormond rather than Harrington. There’s an extraordinary scene in Ormond in front of the now lost portrait of Marie Antoinette by Gautier-Dagoty; the eponymous hero’s Anglo-Irish identity suddenly comes becomes completely clear to him, as his reactions to the portrait differ so markedly from his French friends’ more demonstrative response. Edgeworth wrote these two novels as companion pieces, when her father was dying and was desperate to see just one more work of his daughter’s in print, and she needed to come up with enough text to fill three volumes. I only read Harrington in the first place to do my due diligence about Ormond, but it completely captivated me and it is even more about scenes of representation, display, and the national imaginary than Ormond. So it seems a bit serendipitous – but it also testifies to the ubiquity of museums and galleries in Romantic writing. I always knew that I would need to write on the discourse around the Elgin Marbles, because the Marbles sparked the largest museum-based controversy of the Romantic period. I think that it set the terms for centuries to come on questions of provenance and the ethics of museum acquisitions. That chapter felt the hardest to structure, because it was really led by the topic, whereas all the other ones had been led by the texts whose settings had complexities and nuances that I wanted to tease out. Keats’s “On Seeing the Elgin Marbles” is among the greatest of ekphrastic poems – but despite its clear relevance, I didn’t spend very much time on it, because I didn’t have much to say to amplify its meanings. Of course, just a few weeks ago, when I was teaching this poem, I found myself saying that perhaps Keats simply physically couldn’t describe the statues in great detail; the Elgin Marbles had attracted one of the earliest crowds to visit the British Museum, and perhaps he and Haydon had trouble getting and remaining close enough to the sculptures to support a traditional ekphrasis. There’s always room for new insights! 3) Did you find that museums principally served as useful foci for discussions of particular concerns, or did they serve as flexible metaphors, easily repurposed by different auditors? In each text that I wrote about, the museum becomes the place where authors represent the nation to itself. That is the major concern for which the museum provides the ideal locus; however, each author and each text easily repurpose the museum to talk about a different aspect of that representation, and they often focus on a different aspect of the museum, too. Scott uses portraiture and changes in the nature of gallery display to talk about the nation’s history and the profound differences between past and present. Horace Smith imagines the Parthenon’s statues in the British Museum coming to life; while overtly they are talking about defamation in Classical Athens, it’s quite clear that Smith has the ancient statues uttering a veiled critique of the current British press. I think that Wordsworth may have been most invested in how his readers – or the “auditors” of his poetry – could repurpose his museum settings and images. Wordsworth loves writing about art display during the French revolution because he can powerfully testify to how utterly the Revolution changed everything, but doesn’t have to commit himself to saying whether the changes are largely for good or ill. Wordsworth’s narrator has a rapturous moment like a pre-Revolutionary Grand Tourist in front of Charles Le Brun’s Penitent Magdalene before the painting was nationalized – as his auditors, we aren’t sure if Wordsworth would like to turn the clock back on the French Revolution, or whether he is delighted that the painting has become accessible to more and more people. Byron, by contrast, comes out swinging against George IV in Don Juan, saying that even his fossilized remains will seem so monstrously large as to be inhuman to museum-goers in the distant future. There’s no way that Byron wants to exploit the way that auditors could repurpose museum-based metaphors. 4) To what extent did the literary and visual forms in which writers addressed museums change the ways in which they were employed and represented? You raise a really good point here. I wonder if there wasn’t often a bit of a time lag between the most highbrow of Romantic visual arts and Romantic literature. My theory is that authors wanted to refer to an accepted canon of taste, so that when they invoked a work of art, its significance would be stable and well-established to readers. For instance, in Eighteen Hundred and Eleven, Barbauld write that “Reynolds [shall] be what Raphael was before” – yet Sir Joshua Reynolds, the brilliant founder of the Royal Academy, had been dead since 1792. Most of the artworks that my authors place in their texts date from previous generations, from Periclean Athens through the Renaissance and the 17th and 18th centuries. As for the literary forms of Romanticism itself, it was an age that married wonderful periodical essays on art with the nascent form of the guidebook. William Hazlitt’s Sketches of the Principal Picture-Galleries in England began as a series of articles in the London Magazine; the critic generally dedicated one essay to each gallery, which seems like a practical way to keep up with print deadlines. Hazlitt then published his essays in collected form as a book. Its organization makes it very convenient for gallery-goers, who can consult the relevant chapter for that gallery. By contrast, George Walker’s Descriptive Catalogue of a Choice Assemblage of Original Pictures (1807) gives all kinds of valuable information about various paintings – but doesn’t organize them at all geographically or by collection. Hazlitt’s Sketches have a kind of user-friendliness that makes seeing, understanding, and studying the artworks in museums seem less daunting. That change in representation is quite closely linked to the literary form of the Romantic periodical. I’m going to leave it to another scholar to talk about the new literary and visual forms in William Blake’s work! House museums, like the Jane Austen’s House Museum at Chawton, are very common commemorations of Romantic authors. Blake, however, made his family home at 28 Broad St. into a museum during his lifetime, holding an exhibition of his own watercolour and tempera paintings there in 1809. Someone really ought to write a study on Blake and Romantic museums. 5) What new research projects are you presently working on? My present project is on Romanticism and the University. One can never have too many institutions of education in one’s life! University reform was a huge topic for Romantic periodicals like the Edinburgh Review from about 1808 onward, and the colleges of the University of London were founded in 1826, so it’s an era of great introspection and change. There’s also extraordinary figures like Thomas Campbell, a highly popular poet who became a magazine editor, a popular lecturer, a founder of the University of London and Rector of the University of Glasgow. Another part of my project is to look at undergraduate writing from Romantic universities. The poems that students wrote for prizes, like the Newdigate Prize, were highly valued; when a commercial press collected and printed them, they sold like hotcakes and went swiftly into a revised second edition, but that is a whole tranche of acclaimed poetry that we don’t really look at today. Jeffrey Cox, in Romanticism in the Shadow of War, is the only scholar whom I know of who analyses any of these poems at all. I’m also looking at student-run periodicals; the University of Edinburgh had an imitation of Blackwood’s that is often, in my opinion, much funnier than the original, and even contains an article about better ways to find cadavers for the medical school, years before the nefarious activities of Burke and Hare came to light. My study also takes in universities as, rather like museums, being the sites of pilgrimage. I focus on the Shelley Memorial at University College, Oxford, and the story it tells us about the poet’s reception history. It’s delightful to be able to keep a strong visual and architectural component in my work! The ‘On This Day’ series continues with a post by Brianna Robertson-Kirkland (University of Glasgow). Brianna completed her PhD in 2016 (funded by the College of Arts Internship Scholarship). Her research examines the 18th century castrato singer Venanzio Rauzzini and the education and career of his operatic students. She regularly performs in solo recitals and has taken part in masterclasses with Emma Kirkby, Robert Toft and Nicholas Clapton. She was part of a recording project for The Centre for Robert Burns Studies, which was also filmed as part of the BBC documentary Burns, My Dad and Me, that aired in 2016. As always, if you’d like to contribute to this series with a post on literary/historical events in 1816/1817, please contact Anna Mercer. Mr. Braham married in early middle life, and the rectitude of his latter years served to redeem his reputation from the gallantries and follies that marred the days of his youth (p. 343). 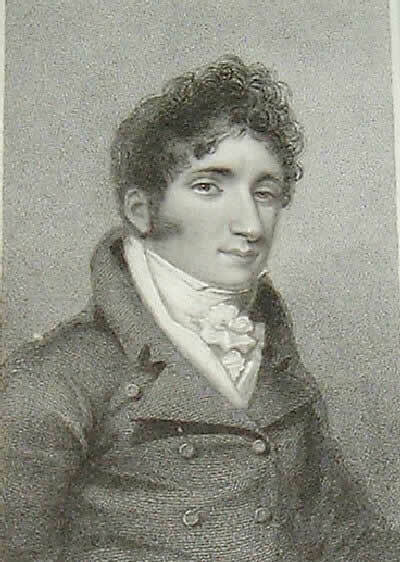 The ‘gallantries and follies’ to which Norton was referring, was perhaps not just the summer of 1816, but the fact that Braham had been in a long-term, unmarried relationship with the Anglo-Italian prima donna Nancy Storace (1765-1817). 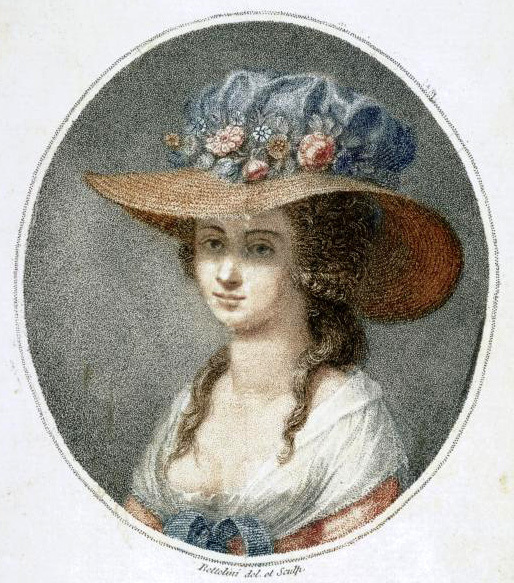 Figure 2: Bettelini, Pietro (1763-1829) Portrait of Nancy Storace (1765-1817), English soprano. Printed in April 12, 1788 by Moltens Colnaghi & Co No. 32 Pall Mall, and in Paris by chez Tessari Zanna et Ce. Quay de Augustins No 42. The pair had been introduced by their shared vocal teacher, the Italian castrato Venanzio Rauzzini (1746-1810). Storace was first trained by Rauzzini in England, before developing an illustrious career on the continent, most notably singing the role of Susanna in the premier of Mozart’s Le Nozze de Figaro. In 1784, she was married to the English violinist John Abraham Fisher (1744-1806), though it was publically known that he was violent and abusive to Storace, resulting in Joseph II, Holy Roman Emperor (1741-1790) forcing him to quit his continental tour and leave Storace behind. Though Storace returned to England in 1787, she never saw Fisher again, but they were still legally married until his death. Braham was trained by Rauzzini from 1794-1796, where he developed his initial skills in an Italianate style of singing, something for which he would gain much celebrity throughout his career. Rauzzini frequently obtained professional engagements for his students but also showcased their talents through his popular Bath Concert Series. Storace came to perform in this series during the 1796-97 season alongside Braham. In the same year Braham as offered the leading role in Mahmoud, which was written and composed by Storace’s brother Stephen. This would begin a long professional and personal relationship between two of Rauzzini’s most successful students (Robertson-Kirkland, 2016). 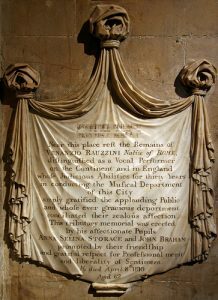 Figure 3: Rauzzini Memorial, Bath Abbey, Photograph by Paul Turner, Licensed under a Creative Commons Attribution 2.0 Generic (CC-BY2.0). Accessed 17 May 2015. As a singer [Braham] has infinite merit as his powers are much better calculated for the Italian opera than the English stage (1796, p. 2). Braham has promised Storace to give her an animated description of Moses erecting his serpent in the wilderness (1797, p. 3). The continental tour proved a success for both Braham and Storace, but there can be no doubt that it was through Storace’s former contacts that they were able to obtain illustrious engagements, improving Braham’s visability as a tenor of note. This exposure allowed his career to flourish, particularly upon their return to Britain, where Braham’s singing was in high demand. Yet Storace’s career diminished somewhat, with reports frequently teasing that her lack of stage appearances was due to pregnancy. These reports were a continuous reminder that the pair were more than friendly, professional colleagues (1798, p. 4). For the most part, the reports were true; by 1802, Storace gave birth to Braham’s son, William Spencer Harris Braham. Though Storace may still have been married to Fisher and William born out of wedlock, Braham and Storace were received in good company and it was generally accepted that they were unofficially man and wife. Even so, after Fisher’s death in 1806, one might expect that the pair would have made their relationship official, if for no other reason than to appease Georgian society. But this was not to be. Storace and Braham continued to live unwed until his betrayal in the summer of 1816. On 23 July, The Times reported that Braham was being sued for damages by Mr Wright in the amount of 5000l. It transpired that Braham had run off with Mr Wright’s wife earlier in year resulting in a very public affair to the detriment of Braham, the Wrights’ and Storace’s reputation. While Storace and Braham’s relationship may have been initially accepted in polite company, the public immediately turned on them both, placing particular blame on Storace for leading Mrs Wright astray (1816, p. 3). Braham was forced to pay Mr Wright 1000l in damages and his career was threatened after he was hissed off the stage by the audience at Drury Lane theatre (1991, p. 302). His hasty marriage to Miss Bolton just a few months after his public affair with Mrs Wright and break-up with Storace established that he was settling down to a socially acceptable life and for the most part, the public forgave his prior descretions. Unfortunately, Storace was not as lucky, as she suffered two strokes the following year, the second resulting in her death. Was Braham’s betrayal responsible or was this merely a coincidence? Though reports suggested the former, Braham’s singing career returned to its former glory and he became one of the most internationally sought after vocalists of the day (1817, p. 3). The marriage served its purpose, so in many ways 17 November 1816 was Braham’s rebirth as an honourable man. Morning Post and Fashionable World, July 10, (London: William Griffin, 1797). Observer, October 28, (London: W S Bourne, 1798). Oracle and Public Advertiser, July 8, (London: P Stuart and James Boaden, 1797). Sun, October 31, (London: B McMillan, 1796). The Times, July 24, (London: James Lawson, 1816). The Hull Packet and Original Weekly Commercial, Literary and General Advertiser September 30, (Hull: Robert Peck, 1817). True Briton (1793), July 5, (London: A Wilson, 1797). Ireland, Joseph Norton, Records of the New York stage, from 1750 to 1860, 2 volumes, (New York: T H Morell, 1863), vol. 2. Ed. Highfill, Philip H; Burnim, Kalman A; Langhans, Edward A, A Biographical Dictionary of Actors, Actresses, Musicians, Dancers, Managers, and Other Stage Personnel in London, 1660-1800: S. Siddons to Thrnne, (Illinois: Southern Illinois University Press, 1991), Vol. 14. Robertson-Kirkland, Brianna Elyse, Are we all castrati? Venanzio Rauzzini: ‘The father of a new style in English singing’. PhD thesis, (University of Glasgow, 2016). Please see below for a call for participants for a series of workshops exploring eighteenth- and nineteenth-century literary institutions. These form part of an AHRC-funded network (‘Institutions of Literature, 1700-1900’) that I’m running with Jon Mee. If you’re a scholar working in this area, or a curator working with eighteenth- or nineteenth-century collections, we’d love to hear from you. The network also has its own site, on which further details can be found. The AHRC-funded ‘Institutions of Literature, 1700-1900’ research network is pleased to invite expressions of interest from scholars working on the histories and practices of eighteenth- and nineteenth-century institutions and from stakeholders and curators who work in surviving institutions originating from this period. During 2017, the network will run workshops in Glasgow, London and York and conduct a series of online discussions in order to explore collaboratively the ways in which the literary institutions of this era arose and operated. The network will also consider the ongoing consequences of eighteenth- and nineteenth-century institutional practices and interventions for twenty-first-century institutions. Between 1700 and 1900, institutions came to play integral roles in literary culture: teaching people how to value writing; providing sites for discussion and networks for circulation; serving as archival repositories; raising and disbursing money; inventing new genres; distributing laurels and condemnations; and authoring works and conducting readings. However, these important mediations have hitherto been underexplored, in large part due to the scale of institutions’ operations. Institutional histories tend to be more difficult to map than the histories of prominent individuals. They commonly involve numerous agents, span multiple generations and rely on archives that are often incomplete, extremely extensive, or both. To help to negotiate this complexity, the network will bring together scholars and institutional stakeholders from a wide range of backgrounds and disciplines to explore the ways in which different institutions mediated literature. Through doing so, it will seek to trace collaboratively common practices and ideologies. The network’s three workshops will each take as a theme a major way of understanding institutional practices. The first, ‘Institutions as Curators’, will be held at the Hunterian Museum’s new premises at Kelvin Hall in Glasgow on the 31st of March and the 1st of April 2017. This workshop will explore the changing manners in which institutions have conceived of and organised both disciplinary knowledge and physical collections. The second, ‘Institutions as Networks’, will be held at the Society of Antiquaries in London on the 13th and 14th of July 2017. This meeting will examine how institutions have served to connect and organise groups of people and things, considering the hierarchies that inhere in such arrangements and the points of connection between different clusters and ideals. The final workshop, ‘Institutions as Actors’, will be held at King’s Manor, York in December 2017. This concluding event will examine institutional identities, looking at how ideas and practices embed themselves and considering the points at which institutions themselves – as opposed to their officers and stakeholders – become perceived to be capable of performing actions. Each workshop will feature a combination of papers from participants, roundtable discussions and more open sessions designed to facilitate the sharing of perspectives and expertise. The funding kindly provided by the AHRC will allow us to keep the workshops free of charge for all participants and will let us provide travel and accommodation for the speakers at each event. If you are interested in being involved with the network’s discussions, please email an expression of interest to Matthew Sangster, Jon Mee and Jenny Buckley at institutionsofliterature@gmail.com. Please include your name, affiliation(s) (if applicable), a brief biographical statement (of around 100 words) and a short description of the institutions and topics in which you are currently most interested (around 250 words). Please also indicate whether you would like to give a twenty-minute paper on your work at one of the workshops, or whether you would rather speak as part of a roundtable discussion or another kind of collaborative session. The deadline for submitting expressions of interest is Monday December 19th; we’ll get back to you swiftly after this date. Please see below for a call for contributors from Alice Crossley. This special issue of Nineteenth Century Gender Studies will bring together two crucial aspects of identity formation and experience, age and gender, in order to consider the ways in which each may be mutually-informed by the other. Both gender and categories of ageing provoke similar questions about their own social construction, and the role of nature or biological determinacy. Literary, artistic and historical engagements with the social imperatives that sought to proscribe their nature and scope reveal much about the dynamic ways that both gender and age impacted on life and subjectivity across the century. Age studies forms a compelling basis for new developments in literary-historical work, and as such is gaining momentum across several disciplines from the humanities and social sciences. This edition of NCGS invites engaging new scholarship in revealing intersections of gender and age, and how conceptions of ‘age’ and ‘ageing’ are used to produce differentiations of race, class, and sexuality in the years between 1789 and 1914. As Kay Heath has argued, ‘To exclude the concept of age is not only to ignore, but also to deny, its pervasive influence on the way culture constructs our identity as humans and by such denial to remain unconscious of and therefore vulnerable to age’s hegemonic intensity.’ The consciousness of ageing, and the cultural significance and ‘hegemonic intensity’ that such consciousness upholds, consequently informs the construction and development of views on gender identities in the period, and essays are therefore invited for this special issue which embrace Heath’s proposal about the ‘pervasive influence’ of age in light of gender studies. This issue of NCGS will address a range of gender issues through the lens of age studies, and vice versa. In doing so, such a dualistic approach will highlight the complementary modes of study that each of these theoretical frameworks employ. Both age and gender are understood in terms of social construction and performance, and speak clearly to one another in the clarification and development of a pliable self-identity. Both can be explored in relation to subjection or marginalisation and power or agency, and both are largely involved in the articulation of body image and representation (to include disability), as well as engaging closely in debates about sexuality, developments in education, theories of evolution or recapitulation, and the political landscape of nineteenth-century Britain and her colonial outposts. When examined together, then, gender and age can both speak eloquently to the construction of selfhood throughout the nineteenth century (in addition to providing comparative opportunities for considering similar issues in our own society). Gender roles and age in relation to economic mobility, spatial occupation, social class, familial ties, friendship, material culture, and empire. Please send articles of 5-8,000 words to acrossley@lincoln.ac.uk by Monday 10th April 2017 (earlier submission is encouraged). Adhere to MLA style, using endnotes rather than footnotes. Please include a coversheet that includes your contact information and a short (100-150 word) bio with your article submission. Enquiries about potential essay topics are welcome. Please see below for details of the public engagement training day being organised at Chawton House by the inaugural BARS/BAVS Nineteenth-Century Matters Fellow, Dr Catherine Paula Han, who gives more details about the initiative here. Are you a postgraduate or early career researcher working on the long nineteenth century? Are you interested in turning your research into public engagement? Want to network with likeminded individuals across humanities disciplines? If so, you will have the opportunity to learn new skills and develop ideas for future collaborations at this training day, which is hosted in the atmospheric Chawton House Library and draws together funders, academics, and heritage professionals. The day will comprise a keynote address about funding and public engagement delivered by Mark Llewellyn, the Director of Research for the AHRC, a panel of speakers presenting case studies of successful public engagement projects, and a workshop in which participants can discuss and evolve their own ideas. This training day is sponsored by the British Association of Romantic Studies and the British Association of Victorian Studies and is an outcome of their joint Nineteenth-Century Matters fellowship. The fellowship is an initiative to support postdoctoral researchers without institutional affiliation or permanent academic employment. In recognition of such researchers’ precariousness, BARS and BAVS will pay the fees for a number of ECRs in this position to attend the day. To register, please fill out a registration form (download here: c19matters-registration-form), and return it to Catherine Paula Han: C.Han@soton.ac.uk by 15 December, 2016. Fee waivers are distributed on a first-come, first- served basis. Registration for all others: £35 (lunch included). Payment details are on the registration form.